For over 22 years, Dr. Michael A. Wood of the Foot Health Institute has been offering high quality foot and ankle care to his patients. 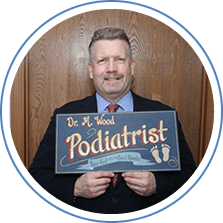 With two locations in Lansing and Chicago, IL, Dr. Wood is a board certified podiatrist who aids in the treatment of conditions such as heel pain, fungal nails, ingrown toenails, wound care, and diabetic foot care. 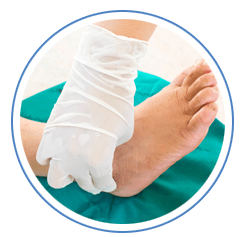 He also offers custom-made orthotics as well as procedures including foot surgery, plantar wart laser treatment, and even provides emergency appointments. The Foot Health Institute accepts most insurance plans and welcomes new patients. If you have any questions or would like to schedule an appointment, please call our office today!